Tracey Rose seems to have this attraction marketing thing down. 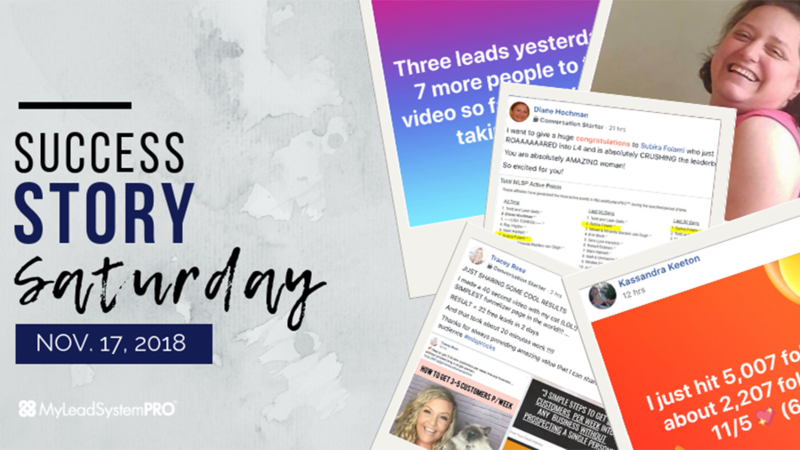 She's posting content, giving away value and getting leads! Video marketing is powerful whether it’s on YouTube, Facebook, or anywhere you can use it! “I made a 40 second video with my cat (LOL!) and directed people to the SIMPLEST Funnelizer page in the world!!! 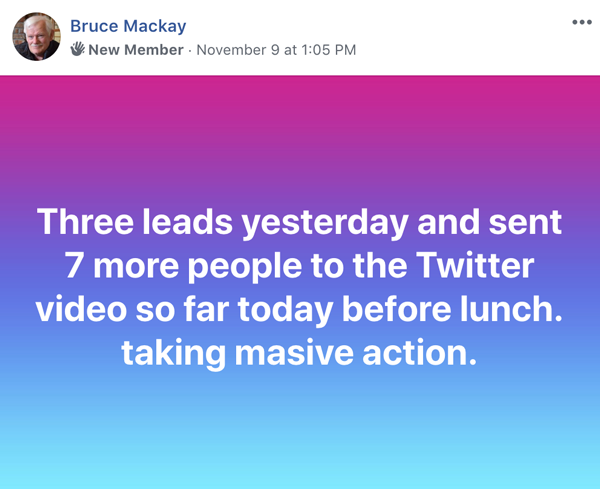 RESULT = 22 free leads in 2 days. And that took about 20 minutes work! 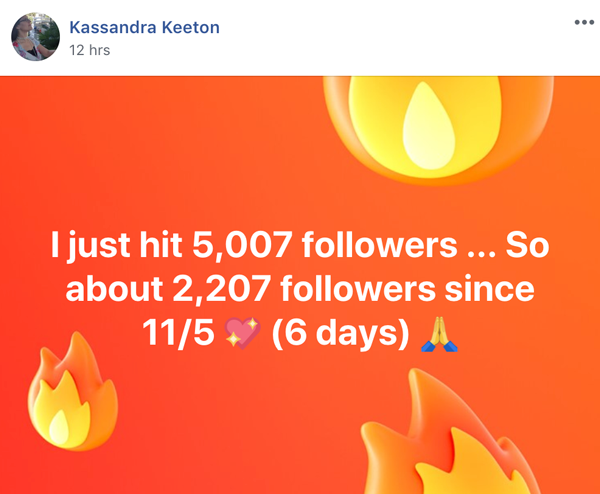 Kassandra Keeton has more than doubled her followers since the 6th of this month! BOOM! She's killing it. 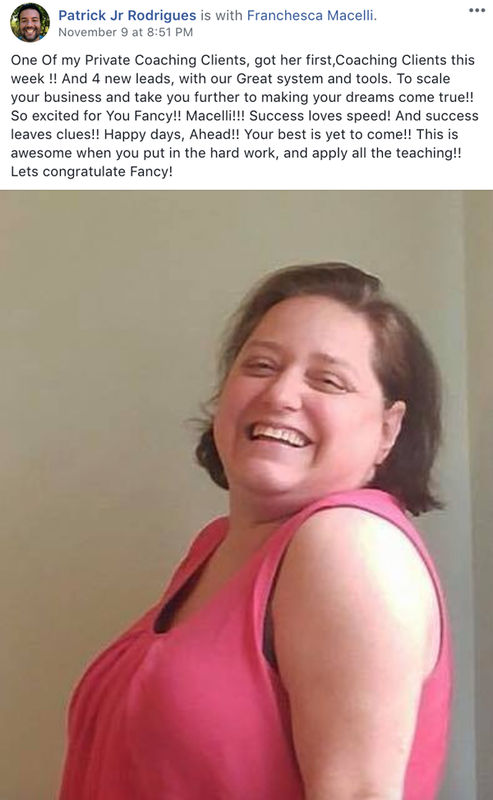 She's using attraction marketing, and giving tons of value to her audience! Great work once again Kassandra! 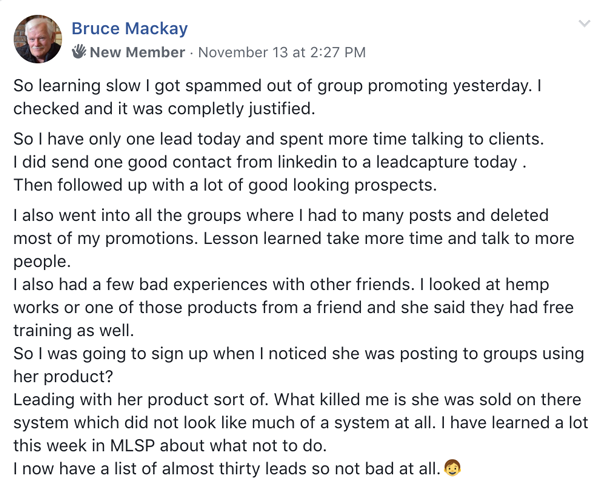 Brand New MLSP Member Bruce Mackay has quickly gotten busy growing his business! Bruce is getting leads and following up like a rock star in the making! He certainly is! Great job sir! Franchesca Macelli got a nice shout out from her coach Patrick Jr.Rodrigues this week. She's putting in the work and applying all the tools and training inside MLSP, and getting results! Jean-Serge Gagnon was a on fire this week! He's been quiet for a while, but we see why. This dude was workin'! 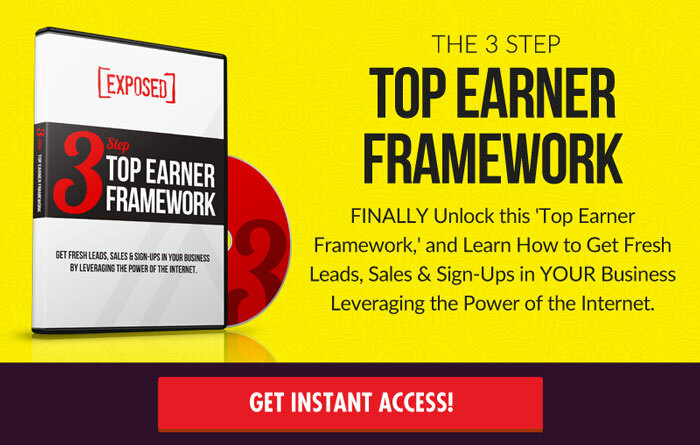 Facebook ads are amazing way to grow your business, and Jean is proving it! When we hear that, it means we know there's more coming! 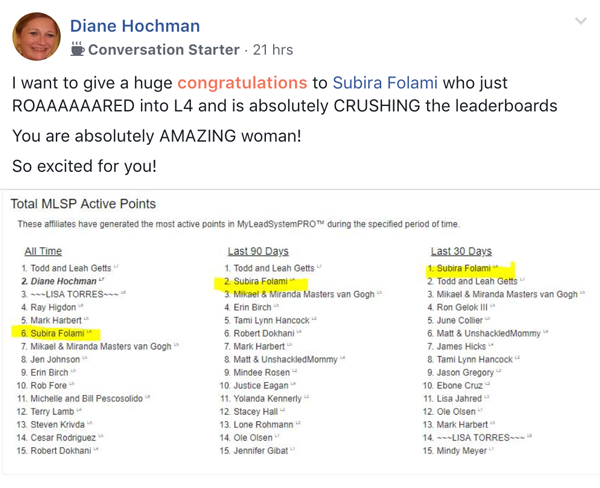 Subira Folami got a shoutout from the Queen of Attraction Marketing herself, Diane Hochman! And for good reason. Subira is killing it. She's claiming 3 spots on the leaderboard and we gotta admit, her name looks pretty good there with the other rock stars! But of course even bigger than that is her new L4 status. She’s been shooting up the leaderboards, and now Honey Badger status is right around the corner! Huge Congrats for this go getter!! Check Out the Screenshots Below and See Even More Success Stories from Inside the MLSP Private Community this Week!